One of Nigeria's Nollywood movie stars Rita Dominic is expected to visit Malawi in May courtesy of DStv provider Multichoice Malawi. 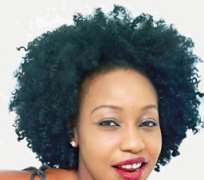 Dominic who has starred in several Nollywood films is currently one of the popular actresses in Nigeria. Nigeria through its Nollywood has uplifted the film industry in the African continent and is currently the third largest. According to Multichoice Malawi Sales and Marketing Manager Blantyre Branch, Chimwemwe Nyirenda, they decided to bring the movie star to the southern African country as part of the five years celebrations of the Africa Magic channel. “Ever since this channel started on DStv, it has gained popularity and is loved by many people in the African continent. It's a channel which was placed to promote Africa and its people. So as part of the celebrations we decided to bring the Nigerian movie star,” said Nyirenda. He said that Dominic was currently doing well in the Nollywood films according to the survey they carried out by asking Nollywood producers. Multichoice alongside Nation Publications Limited and South African Airways and Sunbird Hotels has since launched a promotion in the country which its main prize is a golden ticket for people to enter three parties Dominic will hold. Nyirenda said the movie star will arrive in Malawi on May 12 through the capital, Lilongwe before hosting an exclusive party the following day. “For people to enter the promotion, they need to subscribe to DStv premium, Compact or Family bouquets from March to May 9. Secondly, they need to buy Nation on Sunday newspaper cut all nine Nollywood star posters that will be coming and submit,” he said. Apart from winning golden tickets to party with Dominic, people will also have a chance of winning branded Africa Magic promotion materials. Nyirenda also said that the objective of the promotion was to increase awareness of Africa Magic and Africa Magic plus and change the mindset that DStv is very expensive. Dominic, who will leave on May 16, will also hold two parties in the country's commercial city of Blantyre on May 14. She will also take time to do charity work. Multichoice Malawi was established in the country in May 1998 with the prime purpose of managing DStv subscriber base.